I love reading books, especially well-written books. I continue to look for those well-written books, luckily they are in abundance. I highly recommend these sites to find well-written books. Living in Illinois, I am partial to their awards. The Illinois School Library Media Association has several awards, but the Monarch Award is by far my favorite. It focuses on picture books, and the nominees (as well as the winners) are marvelous! 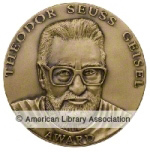 The Geisel Award is given annually by the American Library Association for beginner books. The award is named after Dr. Seuss who said, "Children want the same things we want: to laugh, to be challenged, to be entertained and delighted." These books will definitely do that for both the teacher and the child. The ALA has other awards for different age groups and categories. Many of us grew up reading Newbery Award Winners. The Cypress-Fairbanks Independent School District created grade level summer reading lists. My son's teacher sent home the Fourth Grade List. I was so thankful for additional reading suggestions. They also include links to other award-winning books. Finally, I love these suggestions put together by www.greatschools.org. 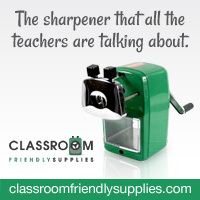 Not only is it organized by grade level, but also by category. I have read most of the books for the primary grades, and they are wonderful! Please share any of your resources for finding well-written books. I know I haven't read them all . . . .yet. Wow what wonderful resources. Thank you so much for sharing.